We often hear that the 'Electric Revolution' is coming to the automotive industry. And yes, it is in almost every automotive segment - cars, scooters, bikes and so on. But now, the story is a bit different. One of the most innovative Indian automotive brand Mahindra is geared up to take on the electric revolution by launching Mahindra GenZe electric scooter for the daily commute in the United States of America. Mahindra has always been ahead of its competition when it comes to design, segments and new technology adoption. Mahindra GenZe is designed in the United States at Silicon Valley. The manufacturer has already established itself in the US market by selling small tractors and now GenZe is set to carry it further. 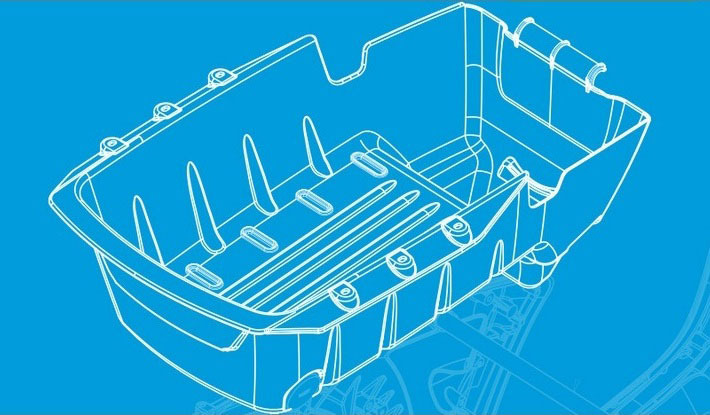 Mahindra designed the GenZe by keeping the luggage space in mind. Its design includes a large storage area where you can easily store the grocery and general items. However, because of this, GenZe has become a single seater scooter. Seat height adjustment is a standard feature. Below the seat lies USB charging port to facilitate charging of mobile phones. The GenZe comes with a removable battery which you can recharge on the go. Gone are the days with the typical speedometer gauge! This e-scooter comes with a 7-inch screen on which you have to enter a four-digit code to set go. Thus there is no key at all! There are three riding modes - Sports, Economy, and Easy. Apart from this, it continuously displays the distance to go in the remaining charge. In addition, an electronically controlled responsive throttle makes Mahindra GenZe a smooth sailing bike! Also, GenZe has no chains or belts or gears making it almost maintenance free. Bright LED Headlamps help in keeping power consumption as low as possible. Regenerative braking feature charges GenZe's battery when you break; which is a great feature to charge the battery while you are riding. Large front wheel absorbs obstructions if any, and provide better stability to the rider. 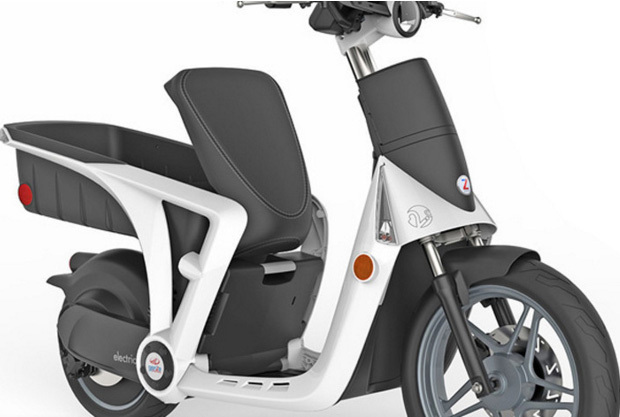 The scooter's 1.6 kW electric motor gets its power from a Li-ion based battery pack which you can charge from 0% to 100% in about 3.5 hrs. Mahindra GenZe comes with power-train control software for controlled throttle response; which makes riding enjoyable and not jumpy. The top speed is 30 mph as Mahindra made it for the short daily commutes. It accelerates from 0 to 30 mph in less than 8 seconds. Maximum load-carrying capacity is 138 kg. 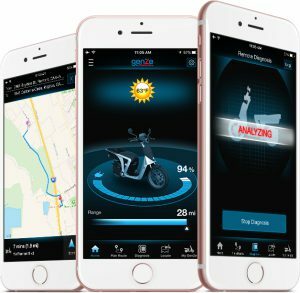 Furthermore, Mahindra GenZe comes with an app as well where you can plan your route. It also has safety alerts and weather integration. With the safety alert system, the technical team can remotely diagnose the problem and fix it in no time; which makes your commute easier. Weather integration helps in planning route according to changing weather situations. So, no more worries about storms and rains. With increasing emissions and pollution problems worldwide, this scooter is the best to transport mode with no emissions and hence carries a very low carbon footprint. This scooter is a complete package of flexibility, convenience, fun, economy, usability and the most importantly Eco-friendly mean of transport. Definitely, this scooter is future of commute!